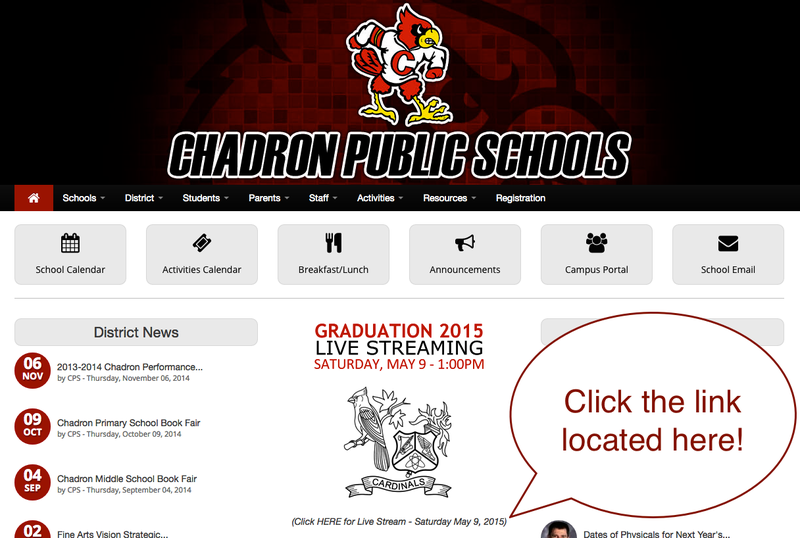 At the end of each school year, Chadron High School contracts with LifeTrack Services, Inc. to conduct a confidential, non-biased senior exit survey. We just received the results for the graduating class of 2016. 51 seniors responded to the survey this year. I've included my notes in comparing these results to last year. May 20th: Community Picnic and Supt. of the Year Celebration! Come join Chadron Public Schools this Friday, May 20th at 11:30a for a free community picnic to celebrate the end of a school year as well as recognizing Dr. Winchester who was recently named Nebraska's Superintendent of the Year. The picnic will take place on the West side of the high school. (Submitted by CHS Junior, Alexandria Nobiling) Dissection is a very advantageous tool for students because it gives them a hands on way of learning. On April 5th and 6th, the Advanced Biology class dissected and observed the anatomy of a fetal pig. A pig is a great dissection species because the major structures in a pig are very similar to those in humans and thus it gives students insight on the internal and external structures of mammals. The students were given a detailed guide giving step by step instructions on how to properly perform the dissection. At the conclusion of the two day dissection, all of the students were to correctly identify and label all internal structures of the pig based off of their new found knowledge. For example, the students had to label the pericardium, the membrane over the heart, and the dorsal aorta, which is the blood supply to the lower body. Aside from dissecting the pigs, the students also took a closer look at the cells. They took samples from the lung, stomach, kidney, brain, tongue, and skin, and made a slide from each specimen to observe under a microscope. A microscope slide is made when a small, thin, sample of a specimen is placed on a rectangular piece of glass. Then, an eyedropper is used to place a drop of water on the specimen. Another piece of thin glass is placed over the top to vacuum seal the item and to prevent water droplets from affecting the image. The student then places the slide into the microscope and adjusts the image to get a clear view of the cells. Chadron High Junior, Brenna Hawthorn placed as a Top 10 Finalist in the Federal Junior Duck Stamp Design Program! Of the hundreds of applicants, 36 were selected as finalists. Brenna's design with colored pencil finished in the top 10! Brenna and her classmates in Mrs. Bird's art class designed work for the duck stamp program this year. 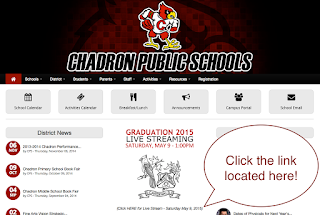 at www.chadronschools.org for the link this Saturday. A $2400 check was presented to members of Chadron High School's FBLA national qualifiers on behalf of the Chadron Public Schools Foundation. Rob Wahlstrom presented the check to Corbin Johnson, Allie Johnson, Aubree Noble, Jayden Garrett, Brooklyn Stack and Hunter Hawk. The national qualifiers will compete in Atlanta, GA at the National FBLA Leadership Conference from June 28 - July 3, 2016. CHS Math Club Wins Medals! Here's a quick list of the year-end activities! Grades 9-11 Will Have a 9:00am Start on May 11th! Next Wednesday, May 11th will be a 9:00am start for the high school grades 9-11. 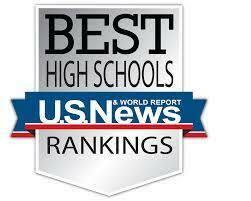 Seniors will check out from 8:00-9:00am.